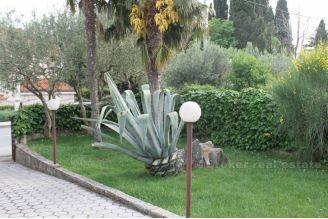 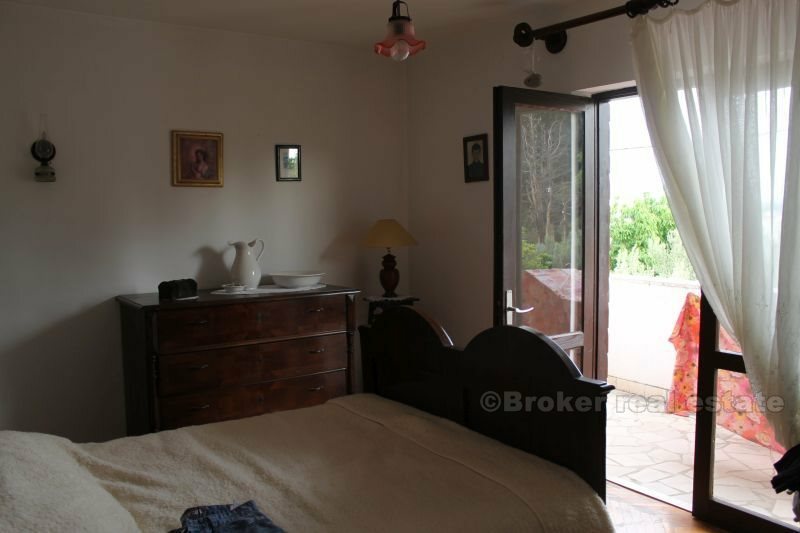 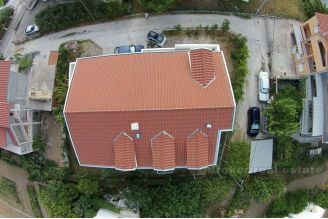 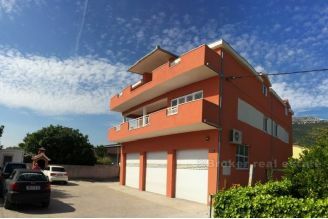 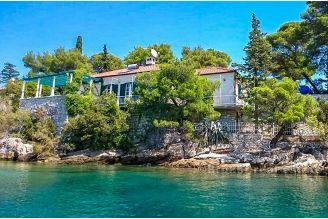 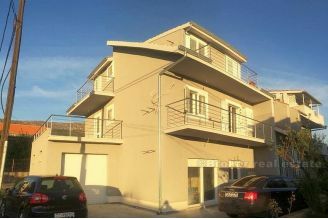 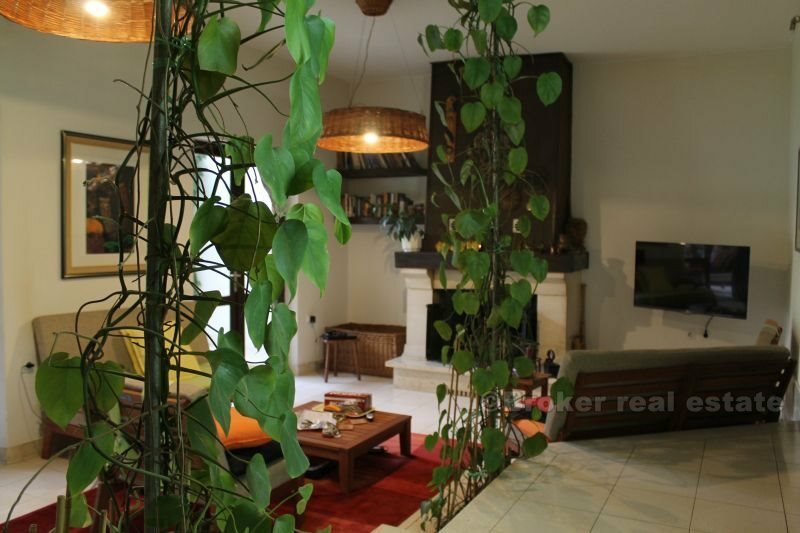 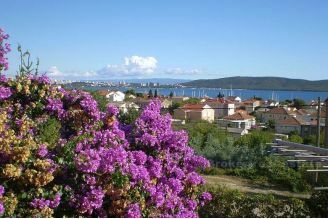 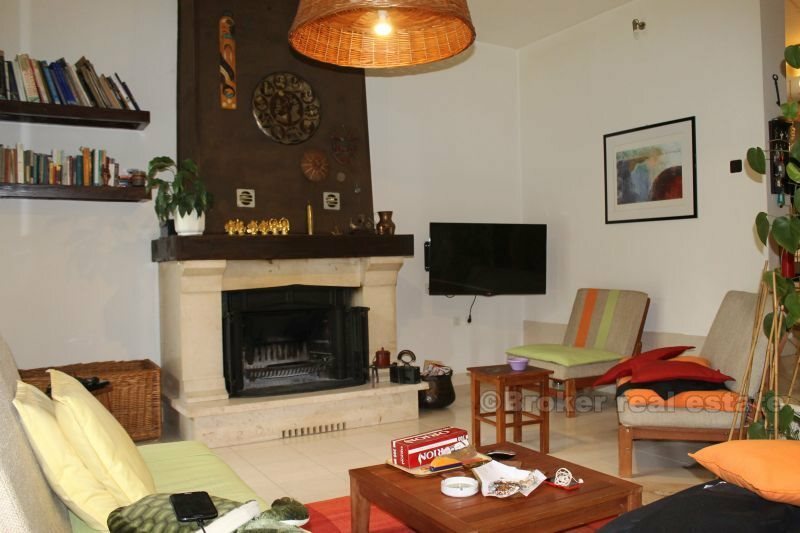 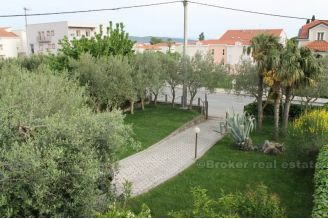 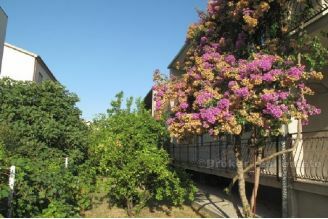 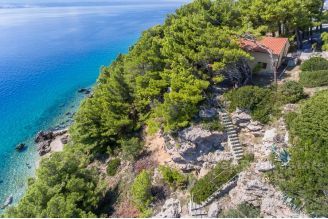 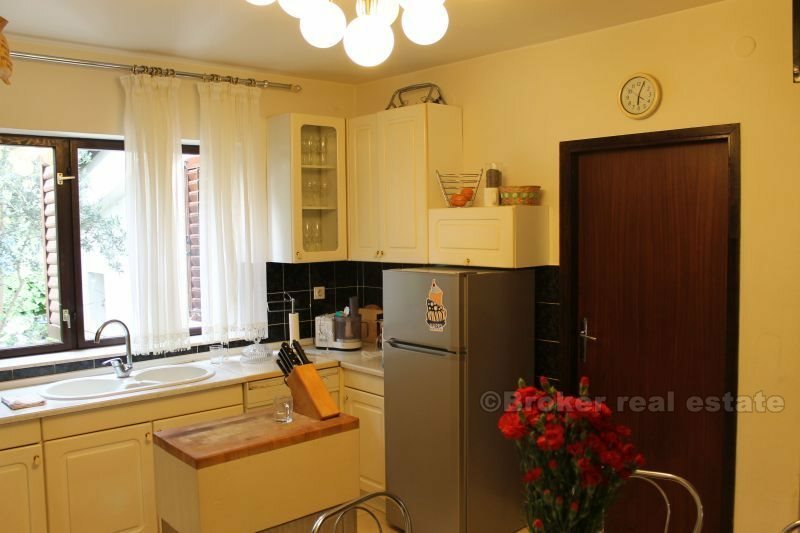 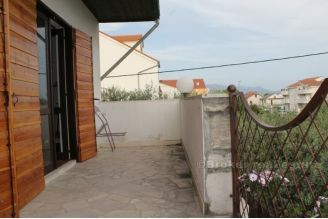 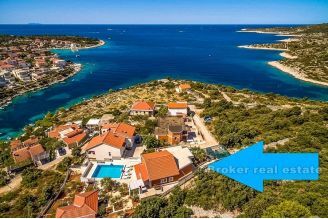 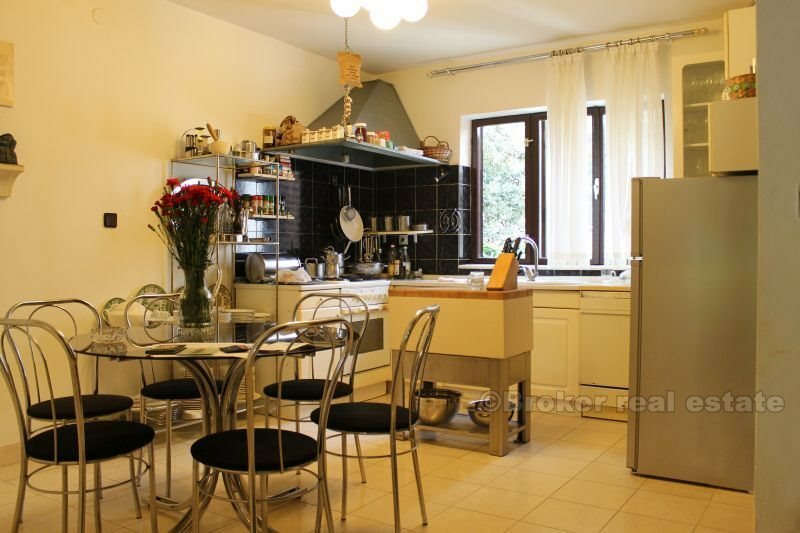 Beautiful semi-detached two-storey house, about one hundred meters from the sea and a hotel complex on a plot of 550 m², 110 m² of development, in Kastela, tourist place between Trogir and Split. 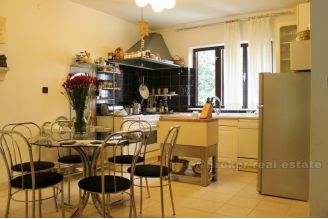 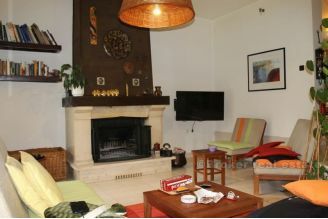 On the lower floor there is a spacious living room with fireplace, from which over a couple of broad steps enters the spacious modern kitchen and dining room. 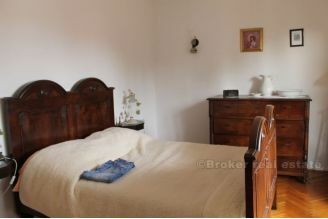 Winding wooden staircase leads to the upper floor wich consists of the master bedroom, three smaller children's bedroom and a large bathroom with tub. Downstairs there is a smaller toilet. 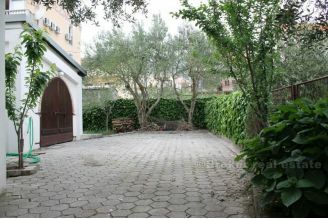 Behind the house is garage with a large wooden door, which can be used as a tavern.